Whitespot (Ichthyophthirius multifiliis) is a common parasite found on fish in aquariums. It is an easy problem to spot, where a fish looks as if it has been sprinkled with salt – most commonly initially on its fins before spreading to all over the body. It can be caused by either stress or more commonly transferred from one aquarium to another on either a host or the water. The following is extract of an excellent in depth article written by Shelli Wittig. The scientific name for this nuisance is Ichthyophthirius multifiliis, or “ich/ick” for short. It is the largest known ciliated protozoan found on fishes. It appears on the body and fins as tiny white dots resembling grains of salt; hence the other nickname, “white spot disease.” These white spots may join together to form white patches. 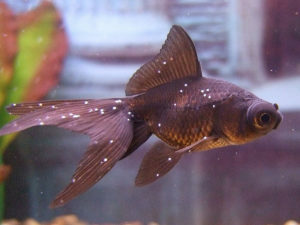 Other signs of infestation can include excessive flashing (rubbing against the substrate or decorations), labored breathing, clamped fins, loss of appetite, lethargic and/or reclusive behavior. When the parasite is visible to the naked eye, it is fully developed “trophont” which has burrowed under the fish’s mucus coating where it is protected from chemicals (medication). It has likely been feeding on the body fluid of the fish for several days and has swelled to many times its original size. At common aquarium temperatures of 24-27ºC this feeding stage lasts only a few days, at which point the fully developed cyst drops off the fish as a tomont. Use a UV Sterilizer if your budget allows it. 3. Raise the temperature of the aquarium (if you have a heater) to between 28ºC and 30ºC. 4. Come down to your local Aquarium Shop and buy White Spot Treatment. A treatment usually lasts 3 days – but refer to your specific brand’s bottle for directions. Cold water tanks usually need to be done twice or even three times we find before the parasite is completely eradicated. The first approach is used simply to speed up the lifecycle of the parasite, since whatever medication you choose will only be effective on the free-swimming tomonts and thermonts. It is understood that at temps above 24ºC, for example, an entire lifecycle can be complete in around 3 days. The second approach is to actually destroy the organism with heat, and can be combined with the salt treatment below. Data suggests that most strains of Ich cannot reproduce at temperatures above 29ºC. To use this treatment approach raise the temperature to 29ºC, while maintaining strong continuous surface agitation to oxygenate the water. This is extremely important because water holds less O2 at higher temperatures. You can angle powerheads up toward the surface, or lower your water level to get a little extra splash from your filter return. As with any treatment, observe your fish closely for signs of stress (labored breathing, erratic behavior) and reduce the temperature slowly if necessary. The adjusted temperature should be maintained for approximately 3 days after all signs of the parasite have disappeared. To be certain, continue treatment when the spots have gone away. This is good practice because we know that they are visible only as a trophont on the body of the host, and not during the reproductive or free-swimming stage. We also know that trophonts on the gills are impossible to see. 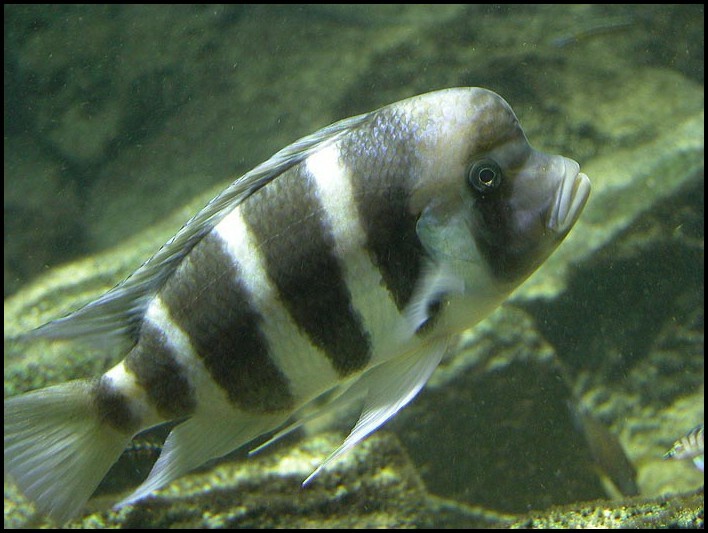 Aquarium Salt is frequently recommended for treating a myriad of fish diseases, especially those involving external protozoa and fungi. I teaspoon of aquarium salt can be added per 5 litres of water. At the end of the treatment, you can do a normal water change with dechlorinated unsalted water to reduce the salinity back to normal if you wish. Read the label thoroughly for dosage information, special instructions, and warnings related to your own health and that of your plants, invertebrates, and scaleless or sensitive species of fish. For example, Loaches, Tetras, Baby Fish and Invertabrates can only be half dosed with medication. Remember to remove any carbon from your filter if necessary. Waterlife produce an excellent product called Protozin that is brilliant at removing the parasites from the aquarium. There are other products that work almost as well.